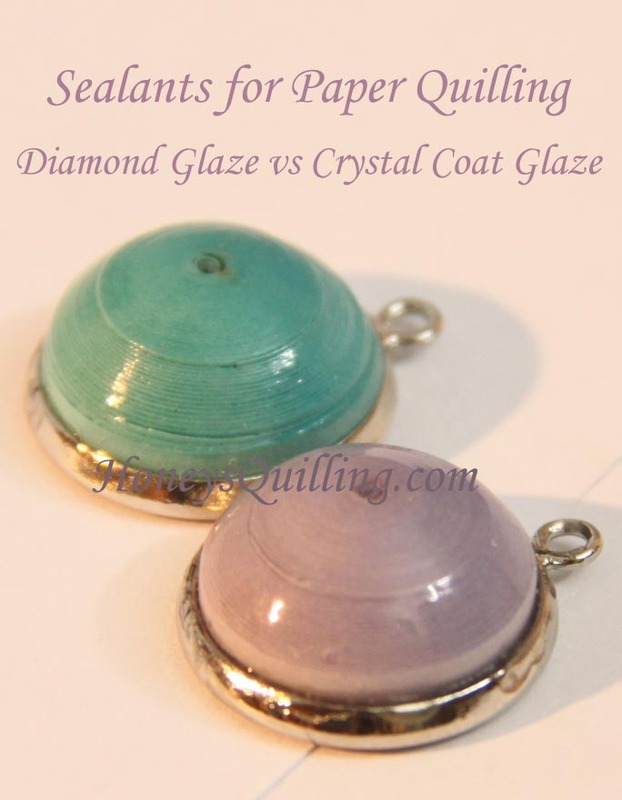 If you make paper quilled jewelry, one of the most important questions is “what sealant or glaze should I use to make the jewelry glossy and waterproof?” I have tried quite a few topcoats, sealants, and glazes, and am planning full reviews for each one of them. But sometimes it is nice just to have a little comparison between a couple different ones. It helps when you are trying to make a decision. The other day I posted these cute little pendants/charms that I made. As I mentioned in that post, I used Diamond Glaze for some of the pieces and Crystal Coat Glaze for the others. I have used both of these glossy topcoats before, but I wanted to compare them directly, used on the same kind of project. Thickness – the diamond glaze is thinner than the crystal coat glaze. In the above photo if you look closely at the reflection points you can see that with the one in the purple (crystal coat glaze) it is a single dot of reflection. With the aqua piece (diamond glaze) the reflection spot is long and you can see the layers of the paper in the reflection spot. The diamond glaze is thin enough that you can feel with your fingernail the layers of paper. With the crystal coat glaze it is thick enough that it gives a nice smooth surface, even with just one layer. Afterwards I added a second layer of diamond glaze to the aqua piece. It had a much smoother surface then, but I think it would need a third layer for it to be as thick as the crystal coat glaze. Hardness and Durability – I have found diamond glaze to be one of the hardest of the glazes/topcoats that I have tried. Meaning if you stick your fingernail into a completely dried piece, it will hardly make a dent. With the crystal coat glaze, on the other hand, it is quite easy to make a scratch mark with your fingernail. Another way to test this hardness was with a “rubbing test”. I let the finished pieces dry for a week. Then I took one of those with diamond glaze and one with crystal coat glaze and I rubbed the top and sides of it with my finger, giving quite a bit of pressure. The pink piece (crystal coat glaze) lost it’s glossiness. Even if I tried polishing it with a cloth, leaving it sitting out for another week, polishing with water, etc. the glossiness did not come back. Furthermore, a tiny piece of fuzz got stuck in the crystal coat glaze when I rubbed it (must have been on the cloth I tried to polish it with) and now that is stuck there. The diamond glaze was MUCH more resistant to rubbing. It only very slightly lost a bit of glossiness, but the glossiness came back after I buffed it with a cloth and it sat out for awhile. Here in the photo below you can see two pieces that are both crystal coat glaze. The pink one was rubbed and is no longer glossy. I’m including two photos, since the focus is sharpest on the back one in each photo, so with two photos you can see the difference better. In the second photo you can see the piece of fuzz that got stuck in the pink one. There is no all time BEST topcoat or sealant that I have found. Which one you choose depends on your needs for that specific project. With this particular project example, I would choose Diamond Glaze if I wanted to make sure that I had a harder and more durable surface. I would choose Crystal Coat Glaze if I wanted the prettiest thick glossy coat and if I knew that the piece would not get too much handling. 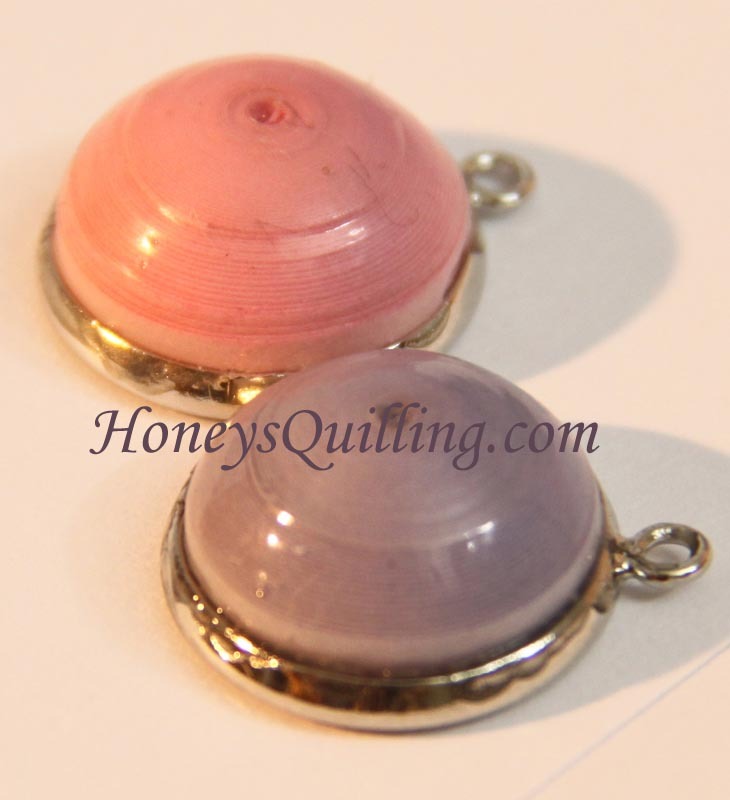 Click HERE to view more posts about using different sealants for your paper quilling. *The pendant trays used in this post were sent to me from Panda Hall. 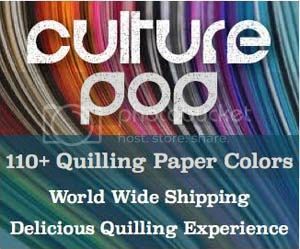 All other products and supplies in this post I purchased and/or made on my own. Great post Honey! Just getting ready to do some ordering and I always appreciate your reviews!!! Which glossy sealant do you like to work with better – PPA Glossy or Diamond Glaze? And where can I find Diamond Glaze to buy? Hi Sarah 🙂 I don’t know if I can pick one favorite, that’s why I have them all LOL The diamond glaze dries faster and harder. The PPA glossy is more flexible and it also works better with metallic edged papers. So if any of those are important I use the corresponding one. Otherwise I’ll just grab what’s closest. You can find diamond glaze at all craft shops, even at Walmart, or online on Amazon. Hello Honey, very informed post. 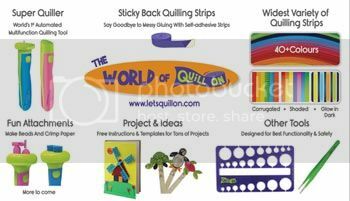 The advice and tips on your site really help me in my quilling so thankyou for sharing. Could you share which product, if any, you find most useful in preserving the delicate look of a thin and borderless design? Thanks for your comment. How big of a design are you talking about? For large designs you could use a spray, but for jewelry I stick to ceramcoat sealer plus a glaze such as diamond glaze. You do have to be careful about applying it, though!